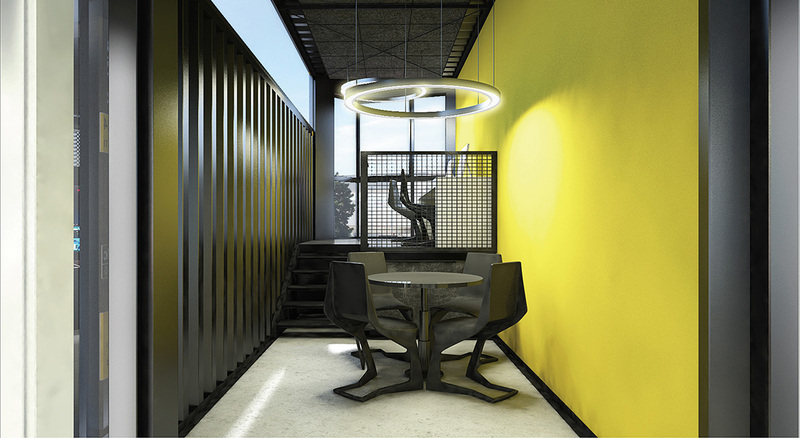 An attractor - „brainstorm of ideas“. 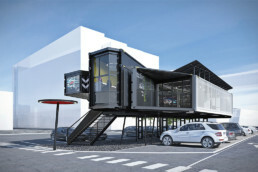 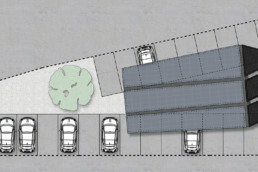 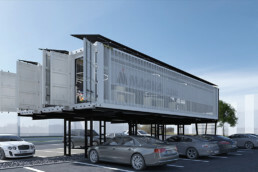 The iconic outdoor pavilion has been designed above the small parking lot in the middle of the factory. 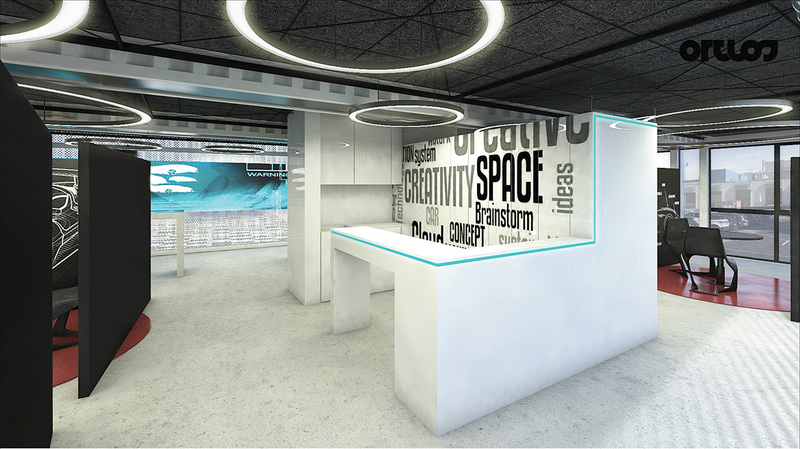 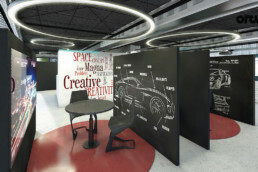 “Creativity Space” should operate as an attractor – „brainstorm of ideas“ – a place where all workers and employees have a chance to submit their ideas, propose improvements or simply try out new technologies. 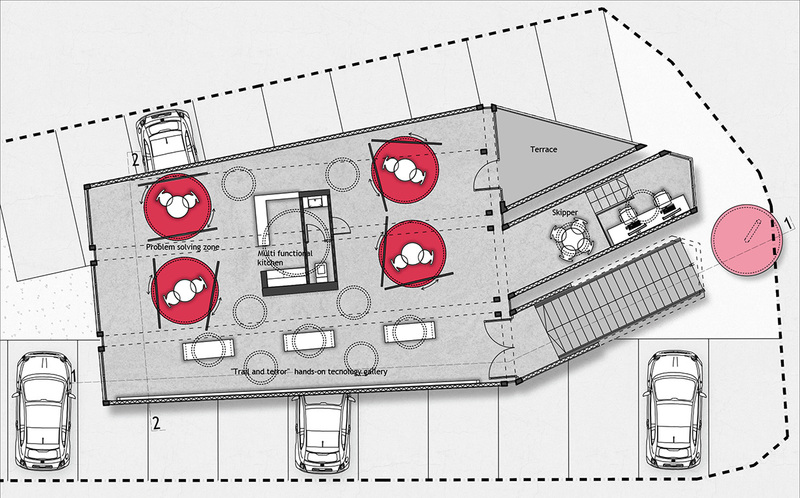 This flexible multi-functional structure enables different scenarios: one on one meetings, group meetings, informal meetings or up to 80 persons gathering for various presentations and demonstrations. 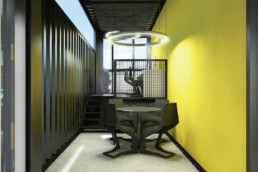 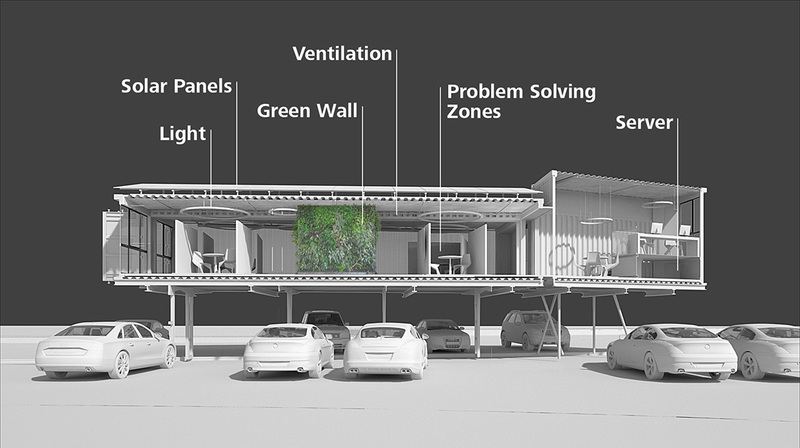 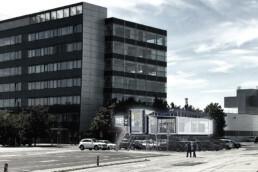 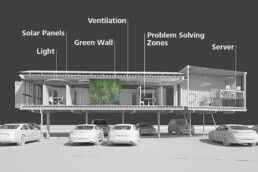 The environment is conceived as an autark sustainable system (energy, water,…) and it uses the recycling materials (shipping containers). 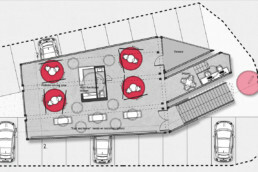 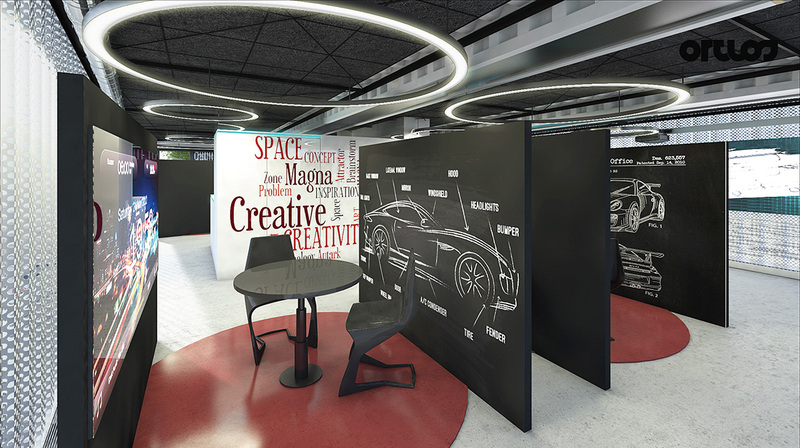 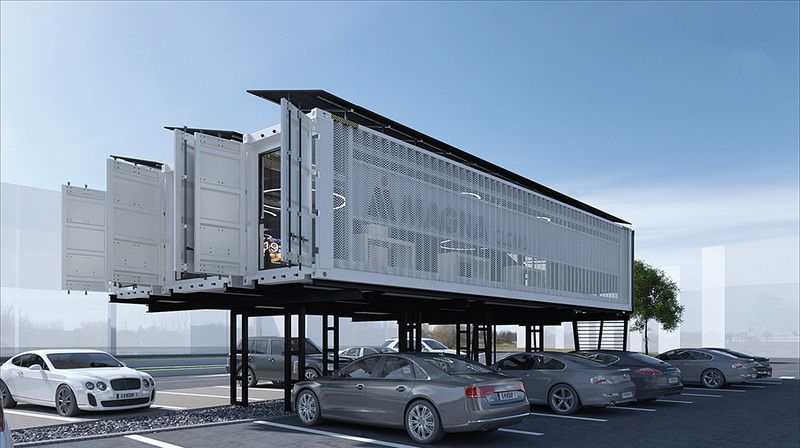 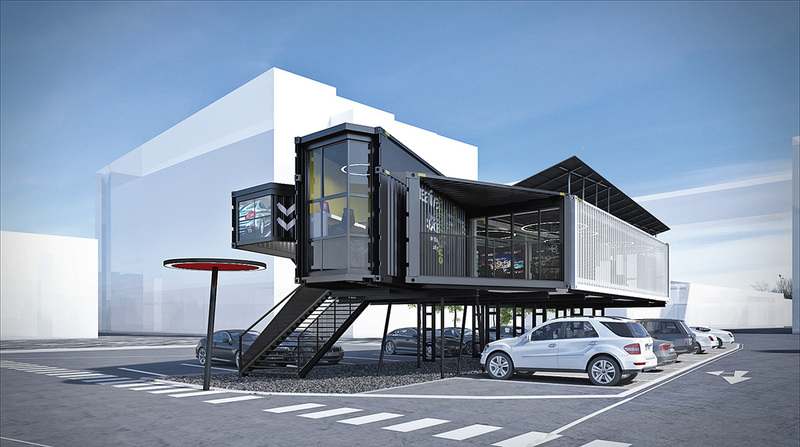 Creativity Space is a part of Magna Creative Cloud. 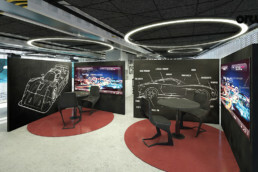 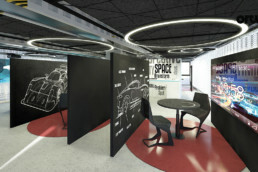 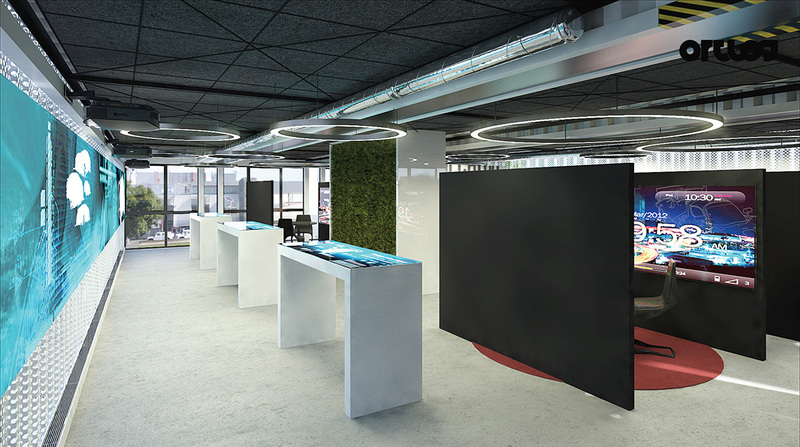 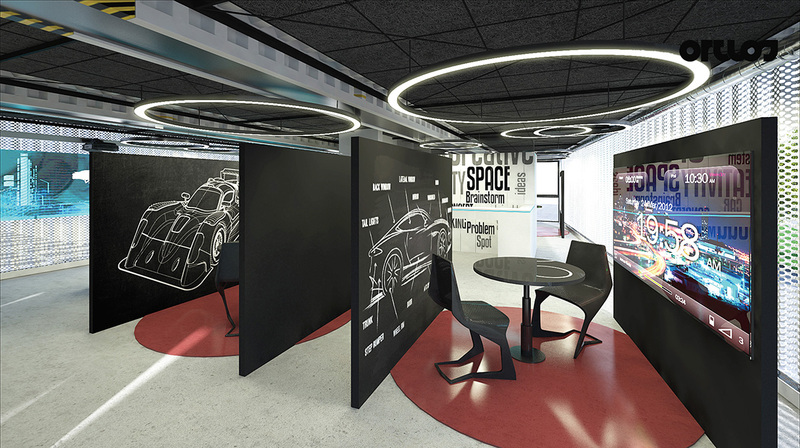 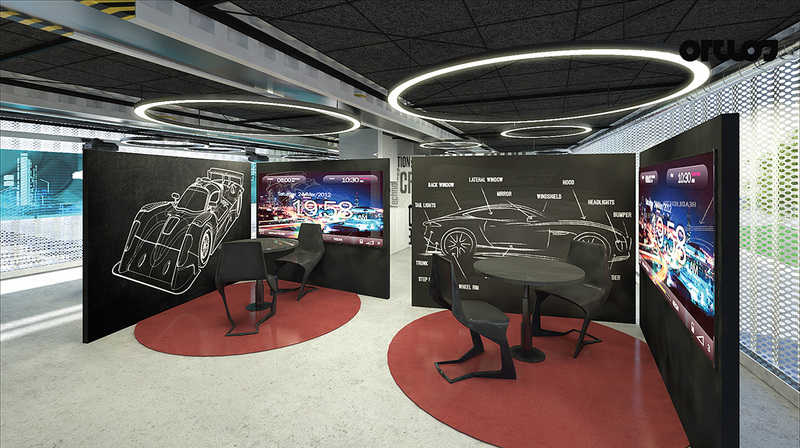 The "trial and error" gallery, a place for hands-on interaction with the newest technology, ideas exchange and bursting up the creativity for employees. 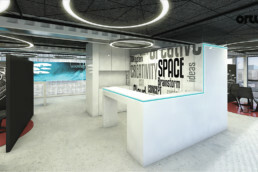 ORTLOS team: Ivan Redi with Djordje Kitic, Dusan Nikolic, Ivana Velickovic, Djordje Djenic.